1. Photo courtesy of Stephanie Williams Photography 2. Photo courtesy of Brosnan Photographic via The Bridal Lounge 3. & 4. Photo courtesy of Boutwell Studio via The Wedding Chicks 5. Photo courtesy of Hendrickson Photography via Style Me Pretty 6. Ring pillow by Brooklyn Bride 7. Photo courtesy of Stephanie Williams Photography 8. Invitation suite by By Invitation Only 9. J. Crew shoes 10. Photo courtesy of Erin Hearts Court via Pearls Events. 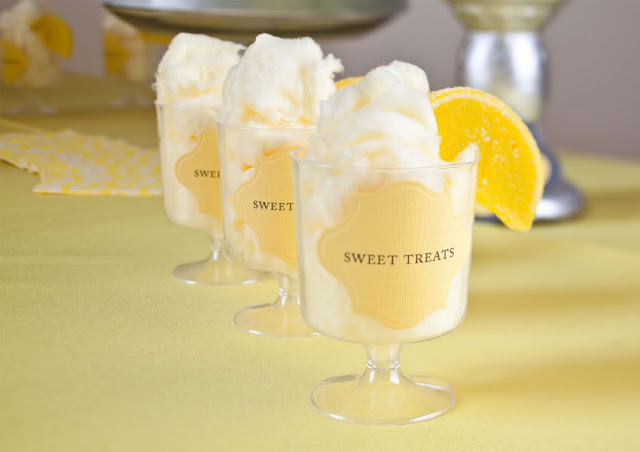 Yellow is such a happy color, it’s perfectly suited to use in a wedding. When this sunshine color is incorporated into stationary, decor, or paired with dresses in a muted tone like grey, it creates a fresh modern palette. Using this stand out color sparingly will assure it shines in the right way. Incorporate it in the centerpieces, the design or font on your menu, or sprinkled throughout your details, as a pretty yellow cake stand, a pair of bright shoes, or a sweet little ring pillow. This color palette is flexible and can be used throughout the seasons and in different styles from classic to modern. 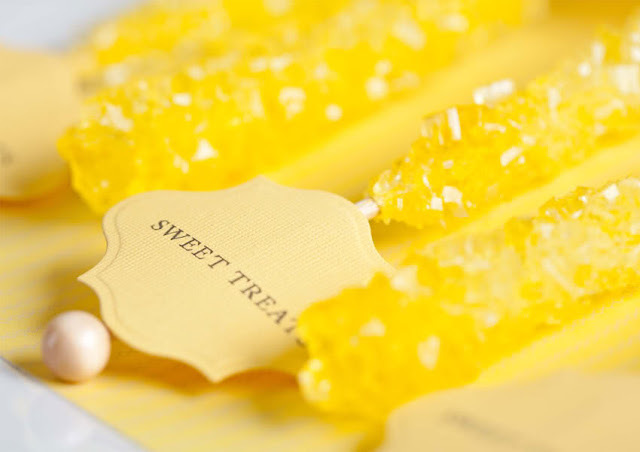 One sure fire way to brighten a venue is to add a candy buffet with marigold, mustard, or canary colored candy at your reception. The grey keeps it from looking like a child’s birthday party and provides a sleek contrast – adding a touch of silver and cute labels really catches the eye! 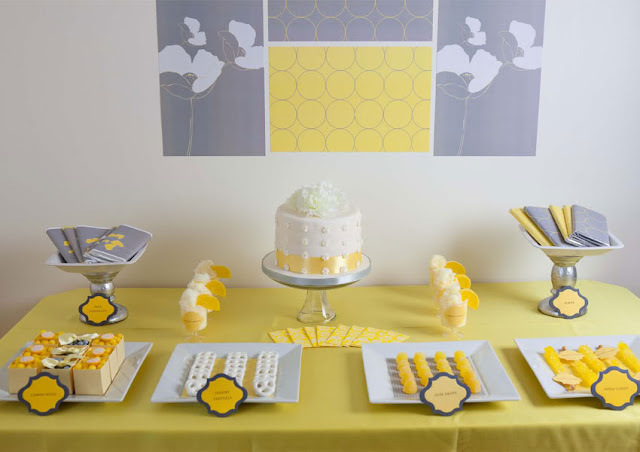 Are you using yellow and gray as a part of your wedding day decor? Yellow and grey are beautiful paired together, especially in soft light and outdoor settings. Lovely post Kate. 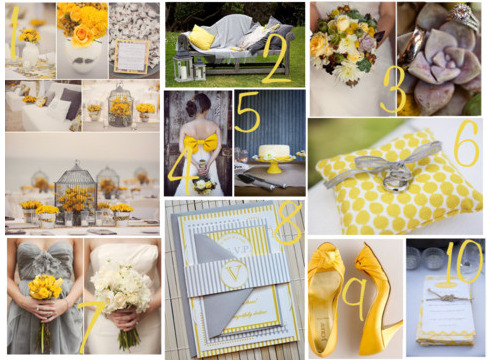 Love seeing my Yellow Bow (#4) wedding included in your inspiration board! Yellow is my fav color and this whole post makes me happy.